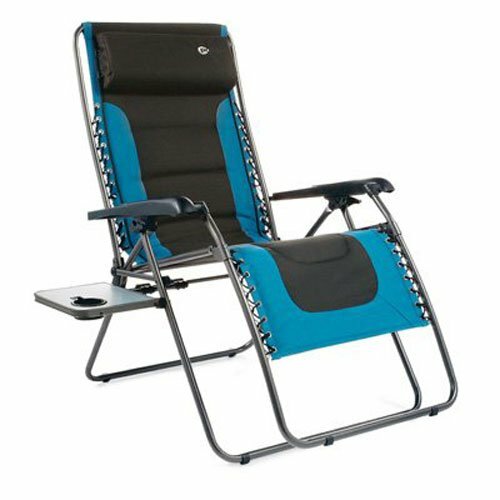 Extra large, charcoal gray & blue steel, padded zero gravity chair, side table & slide Trac pillow, comfortable padded 600D polyester material, 350 lb capacity, conveniently folds with side table intact compactly, powder coated steel frame, 24" x 22" x 45".this product is manufactured in China. Product is highly durable & easy to easy. If you have any questions about this product by Westfield Outdoor, contact us by completing and submitting the form below. If you are looking for a specif part number, please include it with your message.